The biggest mystery in fishing may not be how or where to catch fish. It could very likely be what benefits come with a pro staff deal. These agreements have been shrouded in intrigue to those without them…until today. Without naming specific companies, some light needs to be shed on the subject. Do you not have a pro staff deal but want to know what you could get? Think that free product and jerseys would be cool? Are you hoping to never have to pay for fishing gear again? Do you secretly think that if you land enough pro staff deals your hobby could be free or even better, you could get paid?!? The chances of you getting paid to be on a pro staff are slim. Is it possible to get a check from a company you represent? Yes. Is it likely? No. Not that I know everyone’s business but insiders from the inner sanctum say that really only about nine people in the United States get a decent check cut for being affiliated with a brand. And honestly a few of those guys are actual employees of the brand. Ok, so cash is out of the question. What about free gear? Free gear is a possibility but not the norm. At least permanently free gear is not the norm. One major kayak manufacturer gives their national and regional team a free kayak per year but only after one year of service. A certain soft plastics manufacturer sends a start up pack with lots of stuff in it but once it’s gone, you get a 30% discount on orders. I heard of a company recently that sends you their product for free (which costs less than $50) but then has outrageous follow up requirements. Requirements are a big catch that you need to watch for. The $50 product I’m talking about, they require you purchase a tournament jersey, at your expense, and they have to be the feature company (the big logo). That’s a tough go if you have other, more generous companies that send you lots more product or you have a better relationship with. The fact of the matter is, even free stuff is limited. Discounts are more readily available to most folks. A great majority of the companies out there with pro staff offer discounts only. 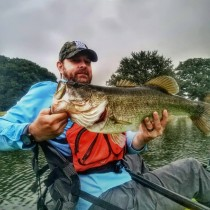 Baits companies, rod companies and working as a representative or ambassador for a local kayak shop are all examples of agreements that will net you from 20-40% off. If you just want to be on some company’s pro team, plenty are available with very loose guidelines. These are usually the ones who will give you a small discount, demand you use only their stuff and use the pro staff team to generate sales. I know of one company in particular that gets 50% of their yearly business from pro staff purchases. The best advice I can give is to make sure you would pay full price for a product before you join their team. This will make it much easier to meet the requirements they will have. It also reduces the likelihood of having to buy a lot of new stuff because you already own it. Belief in a product is so important to being a good partner for companies. If you really want to seek out a company, look at what you couldn’t live without and start there. Another great article Chris. Good info. Thanks for dispelling the myth!